THE Great Trek involved waves of pioneers called Voortrekkers migrating from the eastern frontier of South Africa’s Cape Colony during the 1830’s and 40’s. They aim was to escape British rule and find their promised land. Some 12-14 thousand primarily Afrikaans speakers dispersed northward and north-eastward. These Voortrekkers were pious, hardy and brave (and possibly a tiny bit bonkers heading off into the wild unknown). Their experiences are comparable to those of the pioneers discovering America’s Wild West. Setting out to claim new land the Voortrekkers also travelled in covered wagons, but they were pulled by oxen rather than horses, they had to contend with Zulus rather than Red Indians and encountered lions in lieu of wolves. It was a tough existence. Even if they survived clashes with the Zulus and encounters with the wildlife, they still had the home remedies for medical ailments to contend with. ‘Cures’ included goat’s manure for treating measles and urine of hare for deafness! Completed in 1949 to honour Voortrekker history, the stern, geometric Voortrekker Monument continues to preside atop a hill warding over Pretoria. This shrine to Afrikaner heritage and The Great Trek in particular, is well worth a visit. 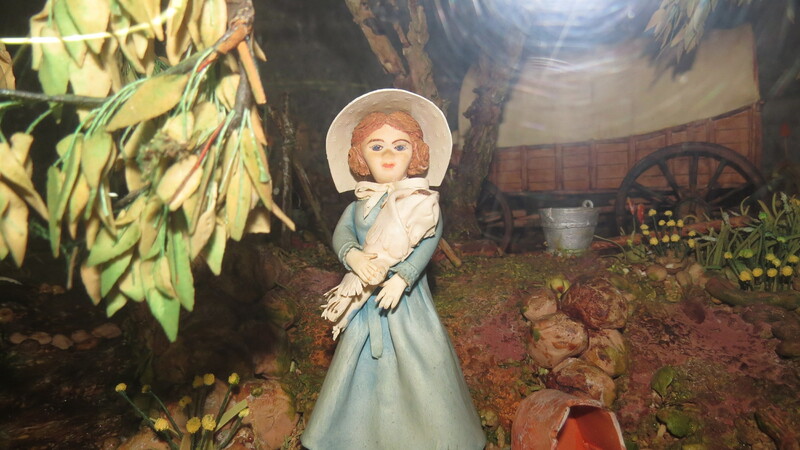 Displays help to recreate to the Voortrekker’s tough and folksy way of life with hefty bibles, toys made of corn cobs and ox bones, starched bonnets, embroidered christening gowns and tools and utensils testament to the agricultural roots of their Boer* forefathers. Key historical moments of the Trek are immortalised in impressive marble friezes which depicting the role of the menfolk. Striking embroidered tapestries represent the role of the Voortrekker women. There is also a quaint fondant (yes, I said fondant) Voortrekker scene in a glass case. The confectionary reconstruction is not only unusual, but possibly slightly inedible as it was made by the South African Cake Decorators Guild some 30 years ago in 1984. Various belongings of Voortrekker heroes are on display, personal books, items of clothing and on a more tenuous note a hunk of wood that formed part of the windowsill of a house built by Piet Retief, one of the Trek leaders who was brutally offed by the Zulus. 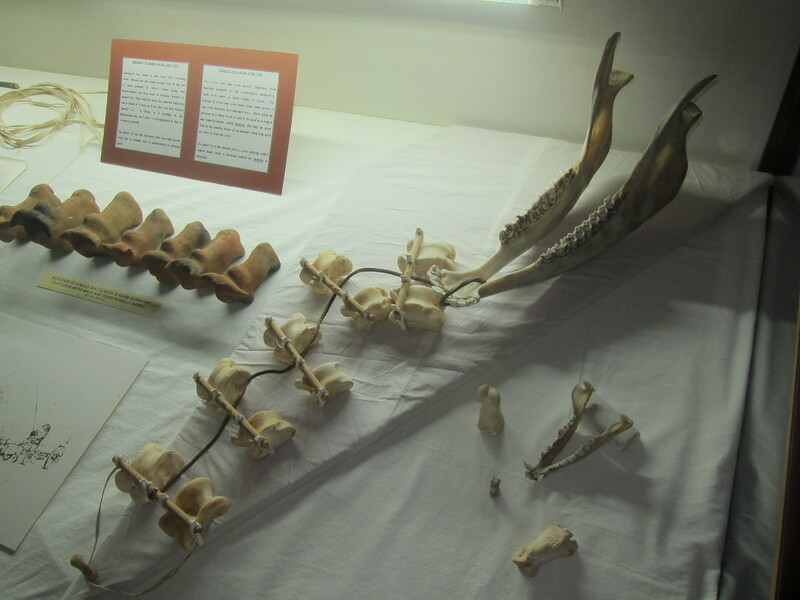 A fragment of Piet Retief’s Windowsill. 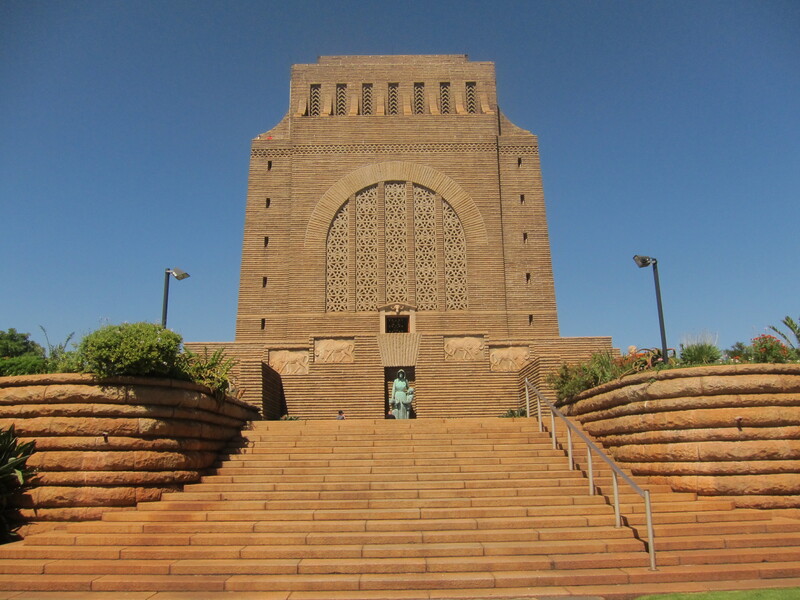 The Voortrekker Monument is on the outskirts of Pretoria and can easily be visited in a morning from either Pretoria or nearby Johannesburg. There are both stairs and a lift to the roof top where you will find expansive views in all directions. December 16th is probably the busiest day to visit as on this anniversary of the Battle of Blood river a ray of sun pricks through the domed roof alighting the words Ons vir jou Suid Afrika (We for thee South Africa) on the basement Cenotaph (see where my finger is pointing on the photo below). How cool is that? ?